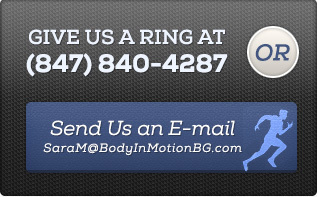 Contact us for rates and a FREE fitness evaluation. you hungry to give you the best results. Personalized Training Plan setting out your personal targets. Motivational support by email or phone to deal with any problem you may face. 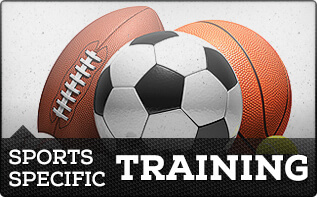 We provide unparalleled Fitness Training and Physical Therapy for atheletes of all levels. Our programs help you achieve a new level of fitness, shed unwanted weight, increase muscle tone, and improve your overall health and appearance. Body in MOTION will revitalize and transform you. Our Mission: To redirect you from the road of poor results and wasted time, towards your personal best in total fitness. Our unique approach is designed to condition both your body and mind. In our experience, the majority of personal fitness trainers simply watch their clients train. If you want to reach real, long lasting results, you must do more than exercise your body. You need to exercise your mind. Our certified personal trainers have the experience and motivation techniques that will encourage and inspire you every step of the way. 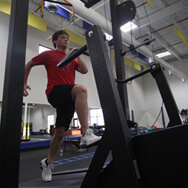 We provide unparalleled Personal Fitness Training and Physical Therapy for athletes of all levels. Our specialized fitness programs help you achieve a new level of fitness, shed unwanted weight, increase muscle tone, and improve your overall health and appearance. Body In MOTION will revitalize and transform you. 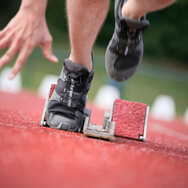 Our Personal Speed Training program is an intensive 9 week program with 3 sessions each week. The program consists of 5 components designed to develop an athlete’s dynamic sprint speed, running mechanics, functional mobility, strength, recovery time and confidence. Athletes will be pushed to the max but an athlete of any skill level who completes this program will improve dramatically. Body In Motion’s personal fitness trainers can provide high level sports training for any sports team. Whether it is Hockey, Football, Soccer, Tennis, Cross Country or any other sport, the fundamentals will always be similar.